Shows you how loved she is. Okai: Yes. I feel very sorry about all the trouble I caused. While they were only my friends, I recognize that I have to keep in mind the fact that I am an idol, and behave accordingly. I hope to have your continued support. Reporter: What was going through your mind when you first heard the pictures were to be published? Okai: But I knew there would certainly be no pictures of me alone with just one guy, so I was wondering what they were going to write about. I felt nervous. Reporter: Did you later talk about it with Sudo-san who was there with you? Okai: We were going, “so they’ll publish even stuff as minor as this!” But like I said, as I am an idol, I caused the fans to worry and many have probably misunderstood my relation to those boys. I have to be mindful of that and realize that people are watching. Reporter: How about the other members: what did you think when you saw the article? Okai: Nooo! You’re going to ask them right here?! (laughs) This is scary! Yajima: Well, with only eight months left, I just felt that we need to once more be united as a group. Reporter: So is it okay to assume there will be no more incidents like this in the following eight months? Okai: I’ve said before that I’ve always had lots of guy friends, but yeah, I really don’t want to experience this feeling again. I feel really bad for the fans and the members. I have no excuse. It’s like, I don’t want to do anything else that could be misunderstood; that could be written about. I’m not going to do anything like that — not until June next year. Reporter: So in other words, once you’ve graduated, this sort of thing might happen again? Okai: (laughs) Well, what I mean is, after June I’m going to continue hanging out with my guy friends as usual. But until then, I’m not going to contact them. I’ve even changed my LINE address and all. 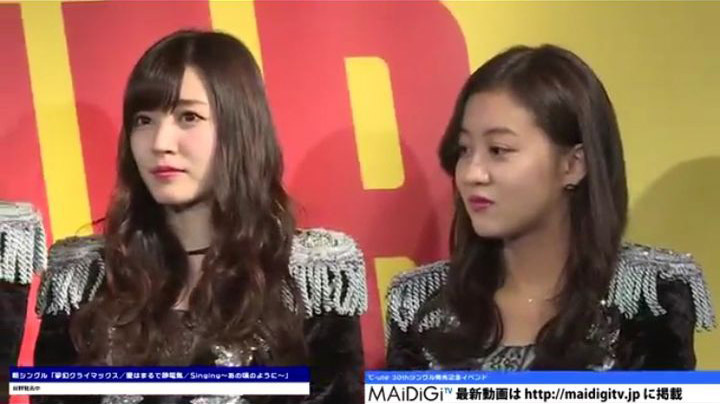 Reporter: Did leader Yajima-san get angry at her for this? Yajima: To be honest, I did feel shocked as it happened just after we’d agreed to keep doing our best until June. 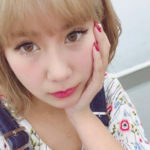 But Chisato properly apologized and asked us to allow her to keep doing her best together with the rest of us, so I want the five of us to once again work together as a team. She’s the only person to have ever angered Maimi — thrice. – Peeking from above at Maimi sitting on the toilet. – Being selfish by asking them to change the order they go in to do voice training. – Causing a scandal immediately after the group agreed to pull together as a team following their breakup announcement. Just seeing her expression, anyone can tell that she’s being honest about what she’s saying here. I feel bad for her what with people demanding she quit the group simply for spending time with friends. Since Okai’s saying there’s no problem as she wasn’t alone with a guy at any point… does that mean she thinks in Maimai’s case there was a problem? Saying that she’s going to start hanging out with guys again after June, she’s practically extending an invitation to Friday reporters. People tend to like talents who can answer even these sorts of delicate questions from media reporters. Celebrities have to be tough in order to make it. In that sense, Okai is really suited for that world — though I bet the H!P wota who like the more amateurish members don’t care for her much. Everyone’s laughing because this was Okai, but had it been Yajima or Airi… that would’ve been it for °C-ute. While I do feel bad for Maimai, this made me laugh. Something like this doesn’t even count as a scandal. The reporters were all laughing at Okai-chan’s comments, and I bet a good portion of even the °C-ute fans and fans of other groups really didn’t think much anything of it either. I love that she doesn’t feel sorry about it at all. She’s been able to turn her scandal into something to laugh about. Henkka: Dammit I love Okai Chisato. PS. Wota in Translation is now on Patreon! If you think you might like to support me (thank you! ), head on over to Wota in Translation’s Patreon page. Yep she’s on cruise control for the next few months. Watch the clock, run out the time then go and do all the stuff denied to her as an idol. Good on her. I wouldn’t be surprised if some crazy wota goes on a stabbing spree.